Write Well Always: JusThoughtZ. Unsigned Artist of the Week. 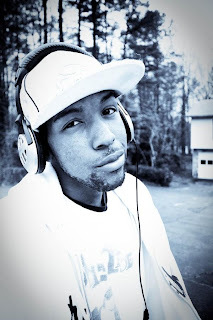 Our Unsigned Artist of the Week is JusThoughtZ from Atlanta, Georgia. JusThoughtZ uses his lyrical abilities to bring a sound that can be described as an Alternative Christian Hip Hop that far surpasses anything that more mainstream Christian Hip Hop has ever been able to produce. His method isn't to beat Christianity into the heads of his listeners but instead to subtly and cleverly weave it into his music. Along with his message, he flows smoothly over his tracks and brings a few "Oohs" with his clever wordplay. JusThoughtZ also differentiates himself from the genre by choosing to opt for more Hip Hop and Rock beats instead of the more Gospel heavy sound of Christian Hip Hop today. A unique artist in every sense of the word, it is good to hear that there are upstart artists who are not scared to use there talents to be different and express what they believe in. My Favorites from JusThoughtZ are "FUTR", "EveryDay" and "Us"